Note to prospective readers: this post may contain traces of nail polish or acetone and could, quite possibly, have resorted to the use of expletives. Here in the Great Southern Land, the summer holidays are drawing to a close: those longed-for, clear-skied, sprawling days of uninterrupted leisure are now well and truly numbered. In five more sleeps Miss Malaprop will be back at preschool, and in nine my Marvel Girl will resume school. Looking back over the past five or six weeks, a large part of me is already veering wildly towards nostalgia. I have relished my time with my girls this summer, the hours of building jungle hideout forts from shoeboxes, of creating crazy craft and science projects, of swimming every chance we got, of reading books (and more books) aloud, of happy chatter during endless sessions of imaginative play. I will miss, in particular, the little gems that have dropped into their conversations…“Ants are very capable creatures — I want to get a magnifying glass so I can see how big this ant’s eyes are!” or “Our new cubby house is hotter than a vampire bat!”, or the many sentences that ended with the phrase “this [whatever it was] has been the best EVER!”. Realistically speaking, however, I admit that my already sentimental recollections of the summer holidays have blithely glossed over the numerous occasions when the kids have not gotten along, or when I have raised my voice, or when one of us — or sometimes more than one — has completely lost it. 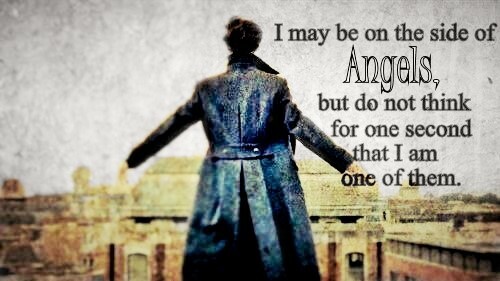 We are, none of us, angels (a fact which, quite naturally, reminds me of Sherlock Holmes’ marvelous quote from the superb Reichenbach Fall episode). But these holidays, I did manage to introduce a new scheme aimed at promoting more angelic behaviour: Holiday Bonus Points. The concept of Holiday Bonus Points came to me one morning when I was about to launch into my customary post-breakfast tirade about hair brushing, bed making, teeth cleaning, floor tidying or whatever it happened to be that day. Instead of rattling into my usual rant, I took a deep (supposedly calming) breath and made a proclamation from the middle of the mess that was my kitchen: a Holiday Bonus Point would be awarded to any child who performed a task without being asked to. Two gleaming pairs of eyes, one dark greeny-brown, the other light greeny-blue, locked onto mine, followed by a rapidfire barrage of questions, and before I knew it, the Holiday Bonus Point scheme was up and running — or perhaps it would be more accurate to say it was made up and running. The details were invented as I quickly as I answered the kids’ questions: any child who got five HBP’s before school went back would get a special treat of their choice, but the award — and the possible removal — of points was entirely at my discretion. For the most part, Holiday Bonus Points were a roaring success: instead of constantly nagging the girls, I was able to (ever so vaguely) wonder aloud whether anyone would get an HBP that day. Conversely, if anyone was misbehaving, I could warn them that if the infraction continued an HBP might be taken away from them. In fact, I would even go so far as to say that the scheme worked brilliantly — until Miss Malaprop surprised us all by being the first to be awarded a full five points a whole week before the holidays ended, and promptly requested a trip to the shops to buy some nail polish. Specifically, aqua and purple nail polish. And pehaps a pink one, too. And here, as you may have guessed, begins the cautionary portion of our tale — the part that begins right after I managed suppress the loud groan that very nearly escaped me when the words “nail polish” were mentioned. It was, of course, the point when I realised that I not only had to purchase her chosen treat, but that I also had lost the by now almost mythical power of the Holiday Bonus Point scheme for the final week of the holidays. This flaw, this great gaping hole in my formerly smooth-running system, was brought into particularly sharp relief when Miss Malaprop — despite being told in no uncertain terms NOT to open her brand new five-pack of glittery nail polish until I had finished showering and was able to supervise her — was unable to resist the siren song of the brightly coloured bottles, removed them from their shiny silver packaging, and promptly spilled some of the green (yes, green) nail polish on the carpet in her bedroom. The brilliant Benedict Cumberbatch as Sherlock Holmes in The Reichenbach Fall. she was planning on getting should she manage to procure her final point. To my great relief, she simply smiled dreamily and said she’d love to get the fifth book in the Swallows and Amazons series. We are, none of us, angels, but I think even I can handle that.